PRINCE William has revealed he returned home from school one day to find his mother had arranged for supermodels Cindy Crawford, Christy Turlington and Naomi Campbell to be waiting at the top of the stairs. "I was probably a 12 or 13-year-old boy who had posters of them on his wall," the next in line to the throne said, in excerpts from an upcoming ITV documentary "Diana, Our Mother: Her Life and Legacy." Crawford, Turlington and Campbell were three of the original 'Big Five' supermodels who dominated the fashion scene in the 1990s. "I went bright red and didn't know quite what to say. And sort of fumbled and I think pretty much fell down the stairs on the way up," William said. "That was a very funny memory that's lived with me forever." Supermodel surprise for Prince William: Princess Diana got teen son a trio of glamour. The twentieth anniversary of Diana's death on in August 1997 seemed an "appropriate time to open up a bit more," the Duke of Cambridge said at a screening of the documentary at Kensington Palace. 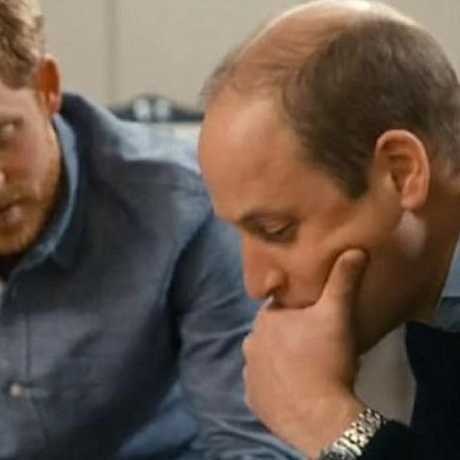 William and Harry, who were 15 and 12 at the time of their mother's death, said their joint participation in the documentary was a "tribute" to their mother and a way of helping the public understand who she really was. "Our mother was a total kid through and through. When everybody says to me 'so she was fun, give us an example,' all I can hear is her laugh in my head," said Harry. "One of her mottos to me was, 'You can be as naughty as you want, just don't get caught'." The pair said she tried to give them a normal life, whether that meant going out for a burger or sneaking them to the cinema to see a film. "She was a massive card writer. She loved the rudest cards you could ­imagine," William said. "I'd be at school and I'd get a card from my mother. Usually she found something, you know, very ­embarrassing, you know, very funny, and then wrote very nice stuff inside. "But I dared not open it in case the teachers or anyone else in the class had seen it." William said he constantly mentions 'Granny Diana' at home to children George and Charlotte, to keep her memory alive. "She'd be a lovely grandmother. She'd absolutely love it, she'd love the children to bits," he said.